Just because temperatures are dropping doesn’t mean that your favourite sleeveless dress has to go into hibernation. Try layering a denim dress with a turtleneck t-shirt, an oversized black coat, and over-the-knee boots. If you’re worried about getting cold, add some tights and opt for a sweater instead of a tee. A turtleneck of any colour will do, but we’re especially digging this pop of gold—it’s perfect for fall festivities! How do you layer your sleeveless dresses? 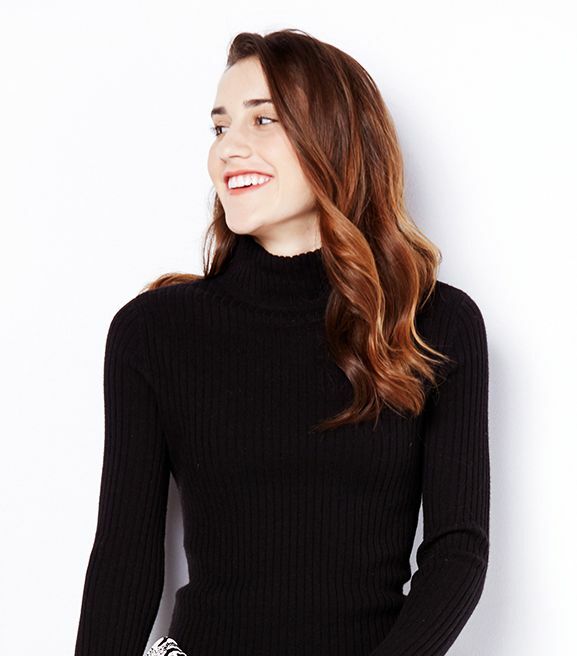 Would you go for the turtleneck look? Share your ideas in the comments!